People ignore ads. They are bombarded by them. Prospective patients are seeking your expertise and thanks to technology are researching dermatologists right on their smartphones. What do they see when your name pops up and they visit your website? Is your website filled with press articles establishing you and your practice as thought leaders well versed on the latest treatments and product ingredients? Is there national coverage of you quoted in top magazines and online outlets across the internet? Public relations, unlike advertising is based on sharing valuable content designed to educate and inform. Patients are impressed by doctors who are trusted expert resources by the media. Public relations empowers doctors to effectively capitalize on multiple opportunities on TV, radio, Internet, newspapers and magazines to explore timely, practice-building topics. KMR Communications would like the opportunity to discuss a customized PR campaign for your practice. Media exposure is the “tipping point” that inspires potential patients to reach out to YOU! Our niche is consumer medicine. Since 1998, we have seen how the media has evolved. Today magazines have migrated online with digital content sharable on social media garnering at times millions of views and shares. Unlike prior media, the online space has longevity. Articles remain online and are searchable. This makes public relations a powerful tool doctors can effectively use to elevate their presence and stand out from their competition. Now more than ever with the bombardment of print and digital advertising, we know that the impact of unbiased press coverage is far greater. Consumers are savvy especially when selecting a doctor. If you have ever wondered why you frequently see the same sub-specialists featured time and again in various media, the answer, 99% of the time, is successful public relations. You’re a Dermatologist, an Expert, not a Publicist! KMR Communications develops carefully constructed PR campaigns to responsibly promote the work of doctors/medical groups nationwide so that when someone thinks of your sub-specialty, it is automatically your name that comes to mind. Although using marketing techniques such as lectures, mailings, patient meet and greets, can maintain the status quo of a practice, it cannot take your or any other doctor to the proverbial next level. We want to help you to attract more patients effectively. There are people searching for a dermatologist for a plethora of reasons. We can help them to choose you. If interested in having a conversation, we would love to learn more about your expertise, practice, and goals. Let’s connect. Simply reply to this message and let’s explore the possibilities. The basics…how PR differs from advertising. Public relations differs from advertising in that it uses editorial coverage in newspapers, magazines, radio, television, and health internet sites to highlight a physician and his or her practice. A campaign can focus on new trends, techniques, controversies, safety issues in a respective sub-specialty or any host of topics deemed press worthy by a publicist and media representative. Essentially, a PR campaign works by taking information the consumer needs and wants to know and presenting it in the form of actual stories related to your sub-specialty. Media exposure has a huge impact on prospective patients’ medical choices. It serves to reinforce that a physician is the expert in his or her sub-specialty. In addition, it lends a cache and seal of approval that cannot always be achieved even by an aggressive ad campaign. 1) Many mistakenly think that they are not candidates for public relations if they don’t have something “new” or exciting to provide the media. The reality is that most doctors are performing the same procedures, with some simply having coined their own phrasing to make it sound innovative. At KMR we are keenly adept at crafting relevant topics that are of concern and provide the information people are searching for. You, the expert are woven into these topics. Experienced PR pros know how to relate you to a trend, season, holiday, controversy, celebrity, or where applicable, national news. 2) A physician falsely thinks PR is limited to doctors located in an urban hub. Given the 24/7 news cycle the internet offers media want insights and tips from doctors and experts from everywhere. Also, there are regional nuances that matter that strategic PR can leverage. For example, the media would love a quote from a doctor based in Denver about how to protect skin from extreme cold and how to prep the face for a ski vacation. Similarly, the media would be interested in a dermatologist from a sunny climate to talk about sun protection. Finally, procedures that address, wrinkles, acne spots, rosacea and countless other skin conditions aren’t limited to any area. On a daily basic we get queries from media seeking expert quotes from dermatologists for top media outlets. They don’t care where they are from as long as they are great at what they do and can help them meet a deadline. Will you become one of their trusted go-to media experts? 3) The final misconception is that to successfully participate in media coverage doctors must be trained speakers or undergo extensive media training. The media responds best to physicians that make themselves accessible, give good “sound bites,” and respond appropriately to questions without having their own self-serving agenda. Doctors who appear quoted as experts in the media simply need to convey to the audience that they are knowledgeable, trustworthy, and approachable. KMR offers provides expert guidance ensuring all of our clients present themselves as such. What role should a physician play in a PR campaign? You have patients to see and a practice to run. Our job at KMR is to assist you, not add more on your plate. That said, those who decide to enhance their practice via public relations must be prepared to be pro-active. Media opportunities often arise with short notice garnering fast results especially in this digital age. Essentially, a practice should be functioned like a “well-oiled” machine before committing to a PR program. This should not preclude an ambitious young doctor from going this route. In fact, having media coverage under one’s belt early on will quell any doubt that patients might have about a young doctor. In the public’s mind, positive media coverage lends the proverbial ‘Good House Keeping Seal of Approval.’ A capable office manager is also essential as a point person for the PR firm. He/she can often help gather materials such as patient photos, statistics, or assist in planning media shoots in accordance with a doctor’s schedule. Many doctors wonder why they simply cannot write their own press releases nor have their office managers function in a dual capacity as PR pro. When doctors attempt this scenario it often ends negatively or simply takes time away from the doctor practicing medicine. Physicians must understand that the consumer media is not interested in the painstakingly technical depictions of techniques, as would be appropriate for a medical journal, nor are they interested in press releases that are entirely self promotional. The medical jargon must be translated and presented in a way that is palatable for lay people, and writers and producers are indeed lay people. KMR is masterful at helping doctors work with media to present information in a manner that gets coverage. You’re a specialist. Your PR agency should be as well. There are various sectors of public relations just as medicine has sub-specialties. One would not visit a dermatologist for a gastrointestinal disorder. PR firms often have niches such as entertainment, fashion, finance, or technology. Medical public relations is a very specialized area of PR. 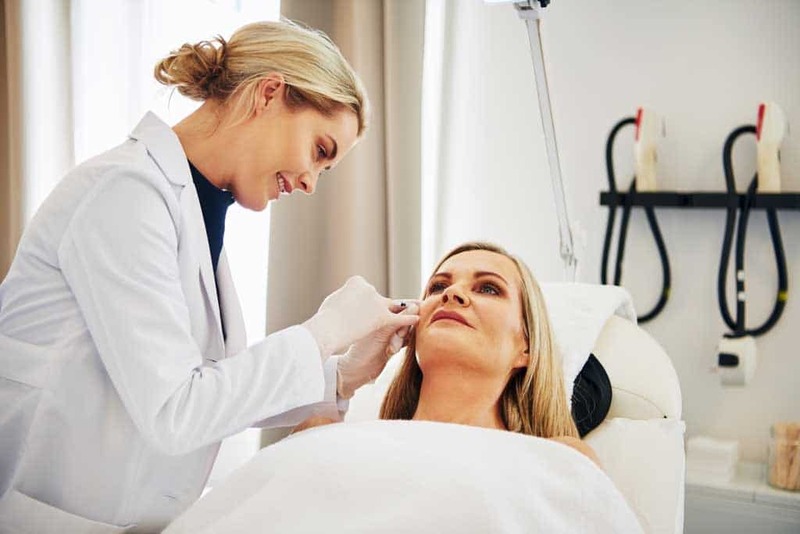 It is vital that a dermatologist employ a firm that has had extensive experience representing doctors and is familiar with medical terminology. We have had enormous success with our medical clients over the years. Most recently thanks to the fast turnaround of digital coverage, we have had instances where media approached us at noon requesting tips from our doctor client; with that article “live” online just a few hours later. We would like to make you another success story and take advantage of the immediacy we see now. CBS New Sunday Morning, Physicians’ Financial News, PR Week, PR Healthcare NewsWire, Ocean Drive Magazine, The Palm Beach Post, and HealthNewsDigest.Com. KMR was also voted “one of the top 50 healthcare pr firms by PR Week. We invite you to please visit our web-site at www.kmrpr.com and respond back to this email to schedule an exploratory call.